01. I (and I think I can safely say with confidence that Annelise feels the same way) am so relieved to have NOTHING on the calendar this week. June was fairly well booked with camps and VBSs so it's refreshing to have July start off low-key and snail pace ish (at least for this week). 02.) Having just finished a book (Overseas by Beatriz Williams, meh) while on our little getaway last week (more on that to come) and starting and stopping another (The Given Day by Dennis Lehane, will probably go back to it) I am thrilled to be completely sucked into Kate Atkinson's latest by page, oh, five or so. I shall be totally useless until I finish. 03.) We went to see this yesterday and gave it three enthusiastic thumbs up. I'm Team Wazowski all the way, love that little one eyed guy. 04.) 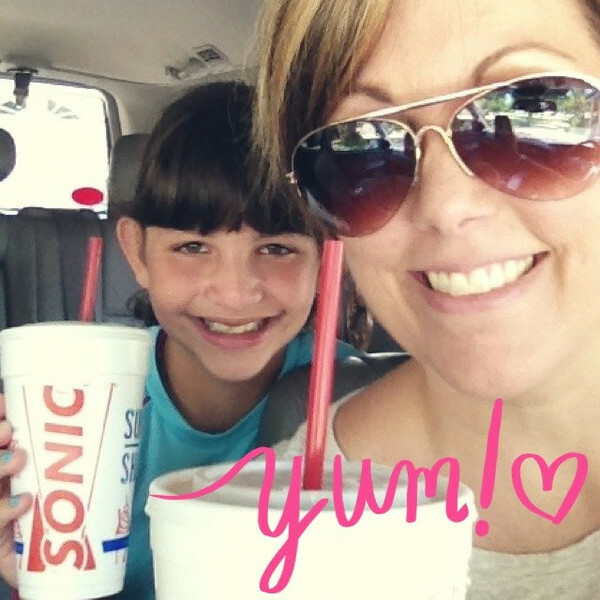 We are always up for a happy hour treat (usually Diet Coke with lime or cherry vanilla for me and some sort of brightly colored slush for Annelise). What's yours? 05.) So #50milesinjuly is off and running. 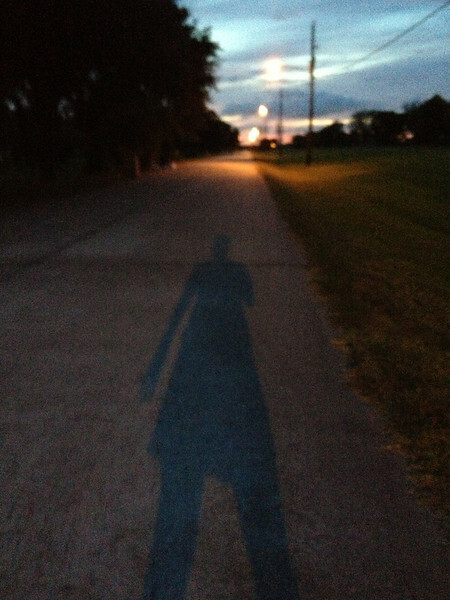 Last week I got in two evening runs and one yawner of a treadmill run while we were in New Braunfels. When I first started running (circa 2005), or at least a beginner's version of it, I ran almost exclusively on a treadmill and couldn't imagine running on the street. Now I can hardly stand the treadmill and would much rather be out with the elements and nature instead of being a hamster (although I do like the treadmill for speed or incline work, I just don't have regular access to one any more). 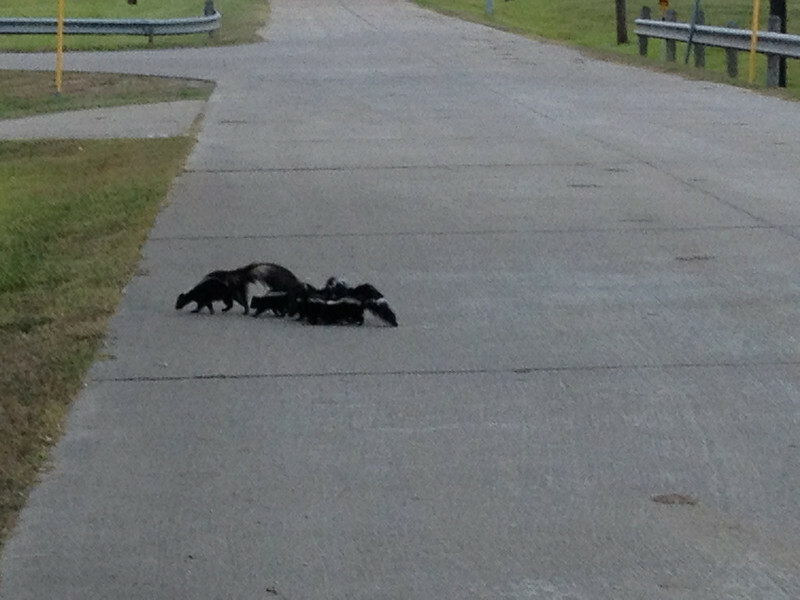 Four (maybe five, it was hard to tell) baby skunks were trailing their mama and it was the cutest thing. I mean, as far as skunk culture goes. When we got home Saturday from New Braunfels my dad told Annelise that he killed a skunk while we were gone (he said it with pride I'm sure) and now I'm worried he killed the mama and those little skunk babies are now orphans. Nature, and BB guns, can be cruel. 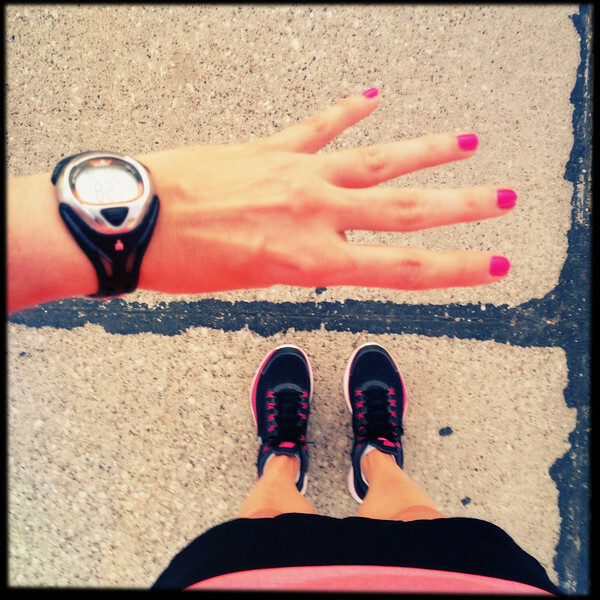 Last night, after I finally talked myself into changing into my running gear (some days that's half the battle!) 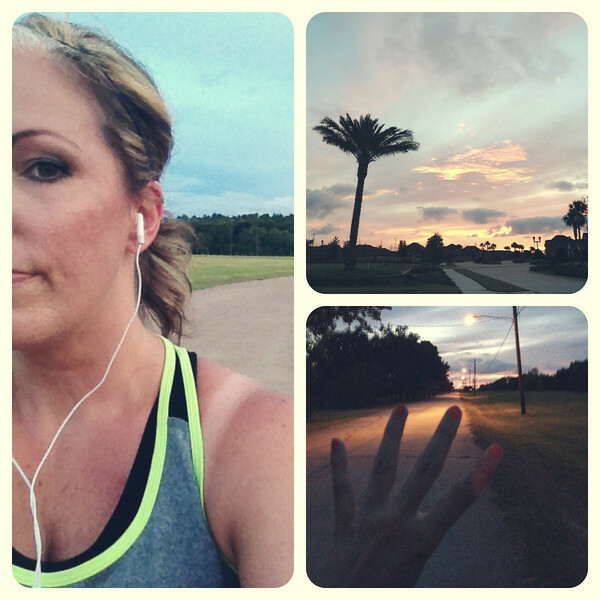 I got in another four miles to bring me up to 16 miles for #50milesinjuly so far. I don't know why each run of late has been four miles, it's not like I plan it really, but if I'm going to go the trouble of getting all sweaty and gross and having to wash my hair then I want to put in enough miles to make it worthwhile, so based on my weird rationalizations four miles have been my jam. I'm still worried that RunKeeper is not accurate but not worried enough (yet) to invest in a new Garmin. I always run the sameish route so I trust the distance, but I can't wrap my head around the pace it's been telling me, especially since I follow 4:1 intervals. Don't get me wrong, I love what it's telling me (ranging from 11:30 to even 9:30 average pace), but I can't believe I might actually be running that fast. I've always been much more of a turtle. Although I do think that the more you run the better you run (usually) (and the more you want to run), so maybe all this running is paying off and my overall pace has improved. 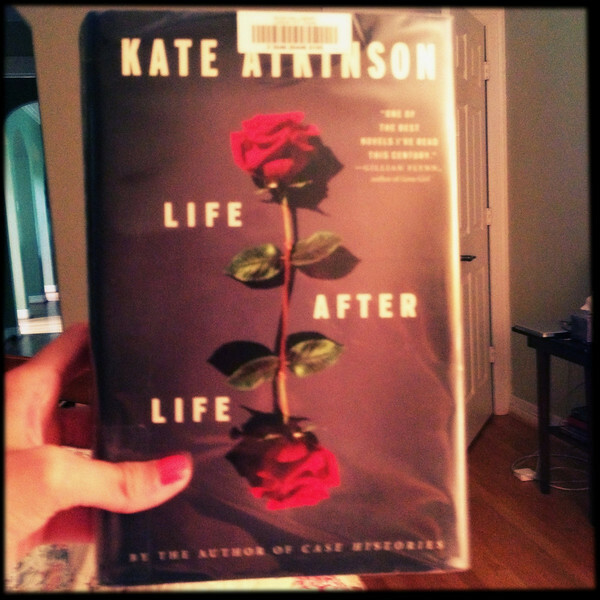 I can't wait to read Life After Life. Atkinson is my fave author. I can't believe I haven't read it yet! I'm really enjoying it so far! I've read her Jackson Brodie series but not her other work. It's very different, it switches back and forth through time but I'm definitely hooked. I'm excited to hear what you think of that book, I enjoy that author quite a bit! Whitney and I will probably see Monster's University this week while Landon and Randy are out of town. Life After Life is VERY good, but it's also very different from her Jackson Brodie series.I adore her sense of humor and the way she develops her characters, like they could be my friends. 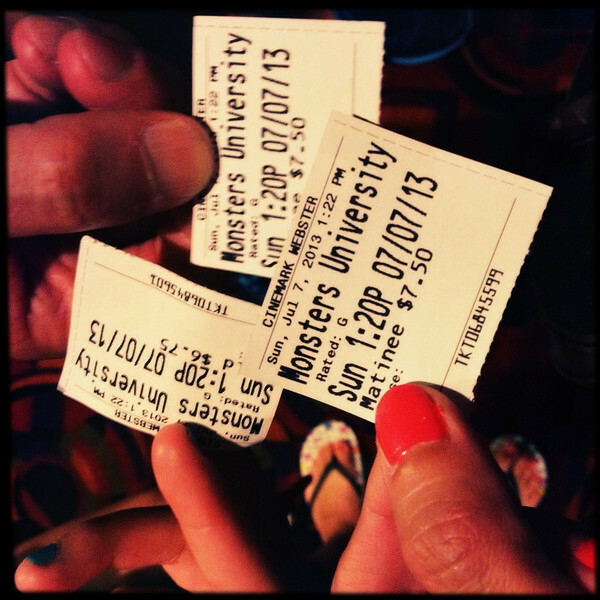 We liked Monsters U, very cute.